Complete header panel, with all the headlight trims, turn signal lenses, headlights, wiring harness, and the grille. 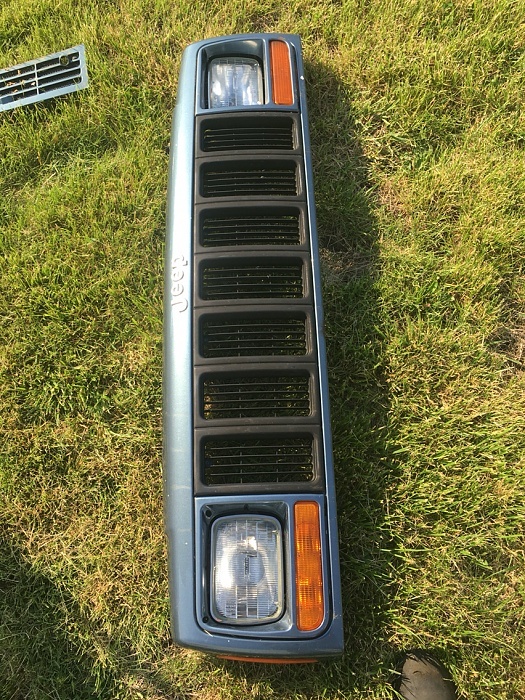 I have a question about that i have a zj but i happen to like the xj front end more would i be able to swap this into my zj? Im pretty sure id need xj fenders and the hood. I don't know if that's possible, but I guess anything is possible if you have fabrication skills. I'm pretty sure the fenders won't line up and the hoods are completely different. lol, No. Not without dramatic fabrication.